Every now and then I get the chance to photograph something totally cool. This engagement shoot is one of those times. When Carrie and Garrett told me where they wanted to do their Athens, GA engagement pictures my jaw dropped. I re-read it thinking, "are we allowed to do that?" But Carrie had everything taken care of and the date was set. 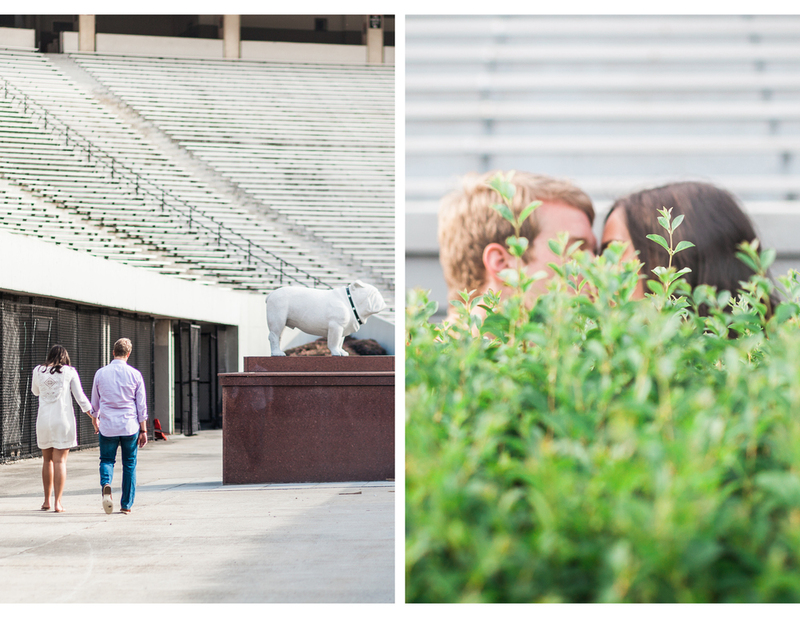 Engagement photos in UGA's Sanford Stadium! "We got set up on a blind date our senior year in high school by two of our friends that were dating. We lived in the same town, but went to different schools and never even knew each other existed." Kidding! But seriously, how many blind dates end up with a marriage proposal six years down the road? And how many couples spend their childhood living in the same neighborhood (one street apart) without ever meeting until that fateful blind date? It's too good, I love it. 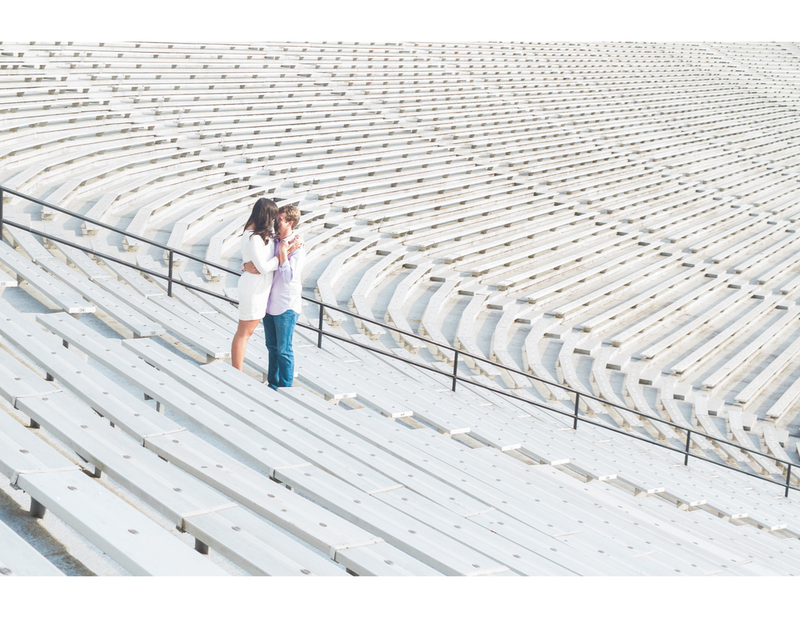 Their engagement shoot was a little like a blind date for me because I'd never met either of them before we walked into that stadium together. And for the record, this "date" was a huge success! I had a blast exploring the stadium and hearing about their time at the University of Georgia. One thing about Carrie and Garrett that you'll notice within a few minutes of meeting them is that they're so genuine and relaxed together! It was easy for me to photograph them because they carried the conversation and kept each other laughing between pictures. These two also came prepared with my all time favorite wardrobe pieces! Custom UGA Bulldawg jerseys with their future last name and their wedding date! It was the perfect thing to tie the entire shoot together. Ready? Enjoy!